Love music but not sure majoring in music is the right path for you? There are other options for keeping music alive in college and beyond in addition to majoring in music. Most music admission directors say that if you’re on the fence about becoming a music major, go ahead and prepare to audition anyway. If accepted, it’s easier to start out as a music major as a freshman and change your major later on if it’s not working for you. For a music major, each semester builds on the previous one. And unless you’re keeping up with regular practicing, playing, lessons, etc., your chance of a successful audition after you’re already in college decreases. • Double major. This is great IF you are passionate about music and another field. It’s a lot of work, so if you’re only lukewarm about another field, find other ways to take some elective classes to see what it’s really about. • Minor. 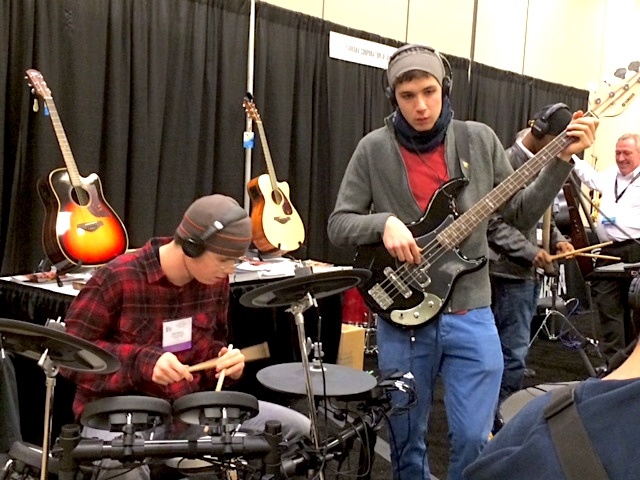 Many schools offer non-music majors the opportunity to take a variety of general music classes as well as music classes in specific areas such as jazz, popular music, and music production. • Play in ensembles, jazz groups, marching band. Some schools will even offer music scholarships to non-music majors who are willing to play in ensembles and other music groups. • Sing in a cappella, gospel, and other music groups on campus. Some are by audition, others are not. • Try out for school and community musicals – as singers or in the pit orchestra. • Take lessons. Ask the music school or department for recommendations of upper level students and graduate students who offer lessons if the music faculty only admits music majors to their studios. • Seek opportunities to sing or perform at religious services. Many college students earn some decent income this way. • Continue to explore areas of music and other arts that aren’t your strength. Whether you major in music or not, find ways to keep your music going. A lifelong involvement in music will provide richness and fulfillment that no amount of money can buy.